We are delighted to announce that the second Cary Grant Comes Home For The Weekend Festival will be taking place over the weekend of 16-17 July 2016, culminating once again with a Gala Screening on Sunday 17th. The Gala screening comes with extra treats, including a grand entrance, paparazzi, live entertainment, vintage music and fashion. Red carpet attire is encouraged, with prizes for the best dressed. If you would like to help us choose the gala screening, then please fill in our Audience Survey. Put the date in your diary and start planning your outfit for the red carpet now!  The programme will be announced in the spring, but suffice to say the festival will have a maritime flavour as it coincides with the famous Bristol Harbour Festival. Sign up to our mailing list to be the first to hear more. Visit the 2014 Festival website so see what we got up to.